strategies to sell soy in every imaginable way . 1. 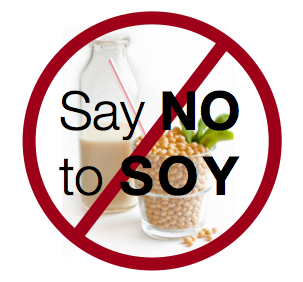 Soy contains high and toxic levels of Manganese and Aluminium. 5.-Soy beans contain oxalates that can cause kidney stones. 6.-Soy contains a phytostrogen called Genistain that may cause infertility, and unbalance natural cicles of the body. 8. Nitrites are powerfull carcerogins that are abundantly found in soy. 9.Soy supresses the immune system by the quantity of estrogens it frees when in the process of digestion.